I've been working this year to overhaul and organize my layouts. 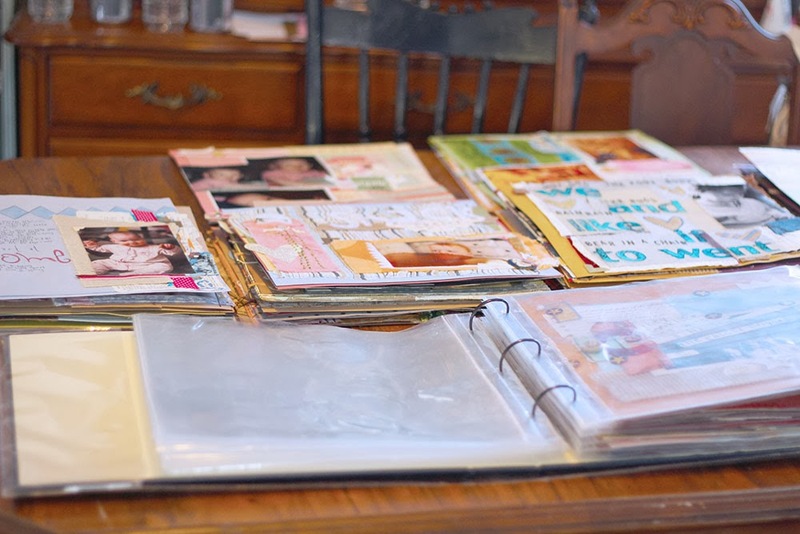 I started scrapbooking in 2004 and I am sure I must have easily 5-600 pages by now. I'm not sure, I've never counted. And, I never really organized them. I just put them into albums as I finished scrapping pages, and I scrapped pages in totally random order. To be completely truthful, a lot of those pages never ended up in albums at all, because I hate putting them into page protectors. Love bulky pages, hate page protectors. So, I took every single page I'd ever done out of it's album. I sorted them into piles for each year. Then I sorted each of those years into piles for each month. Then I sorted those monthly piles into dated order. Now, my layouts are in chronological order! I can see what I have done. I now know I've scrapped my children approximately equally and I have a lot of birthdays and Christmases and holidays that still need to be scrapped. And yes! It's pretty ugly!! I actually really prefer having my layouts in a box so I can pick them up and look at them. But I don't think that's a feasible long-term storage solution. I mostly worry about them being lost or put out of order again. Right now my plan is to fill in major missing gaps for each year: birthdays and holidays, mostly. I don't think I'll ever have all of my photos scrapped, and that's OK.
Then I'd really like to find a way to put my layouts into 3 ring albums without using page protectors. Have you ever done a major layout reorganization? How'd it go? "And, I never really organized them. 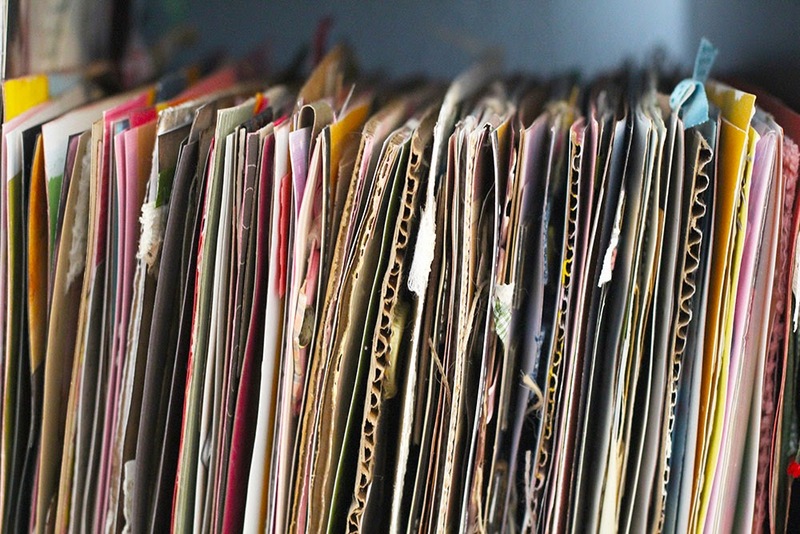 I just put them into albums as I finished scrapping pages, and I scrapped pages in totally random order." Me too, and I just reorganised all mine (although I don't have as many pages as you). I switched from post to ring bound albums, and divided into three basic themes - travel, people, everyday life - which are each sorted chronologically. Each theme has it's own album colour. No doubt you could find/make a cheaper alternative. I had a pretty major layout organizational project going on last week! I also do not scrap chronologically. Photos and memories can be from last week, last year, or 30+ years ago. And many times I scrap a photo and can't quite remember what month and/or year it is from. These pages had been going into the "lookup" pile. 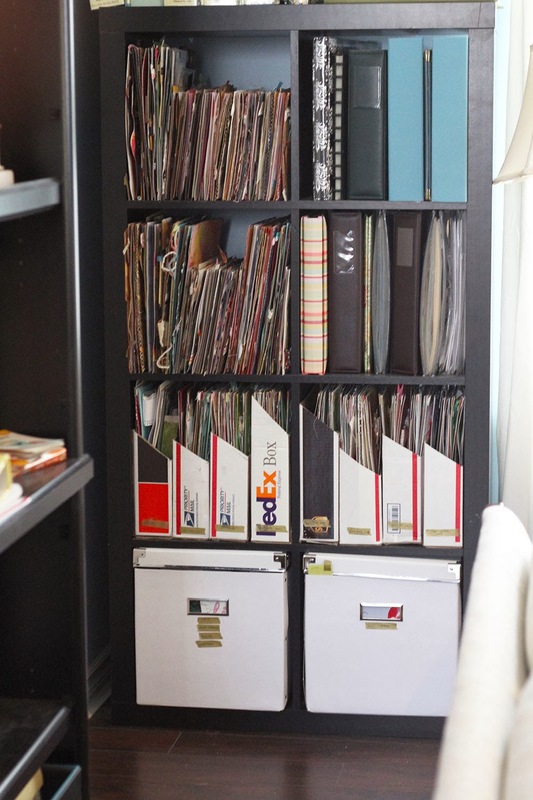 I finally consulted old date books, calendars, photo albums, camera meta data files, etc. to find the info I needed. Two nights until the wee hours and I got it all done. Whew! Your project must have been equally intense!